You can usually predict the type of season a team is going to have based on that team’s biggest offseason move. The Angels? They signed Albert Pujols and C.J. Wilson, so they’re going to push Texas to the brink for the AL West crown. The Tigers? Signing Prince Fielder pretty much puts them in the driver’s seat in the AL Central. The Marlins? Bringing in Jose Reyes, Mark Buerhle, and Heath Bell indicates that they’re going to push for a playoff spot this season. That brings us to the Cubs; a team whose biggest offseason move didn’t involve adding anyone to their 40-man roster. After years of bloated contracts to past-their-prime players, GM Jim Hendry was finally shown the door. Epstein and Hoyer bring a feeling of hope to the Cubs and their fans. 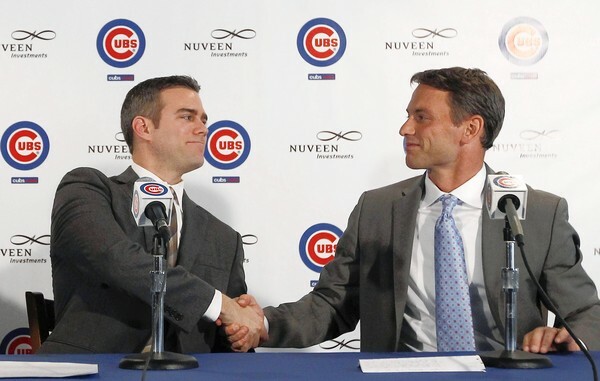 The Cubs decided to follow the model laid out in 2002 by another thought-to-be-cursed franchise, hiring wunderkind Theo Epstein as President of Baseball Operations and Jed Hoyer as new General Manager. So what can we make of that type of offseason move? Well, for the first time in a few years, Cubs fans have cause to be optimistic. Just not about this year. Epstein and Hoyer have already started to work on some of the shortcomings of the previous regime, sending Carlos Zambrano to Miami and bringing in potential first basemen-of-the-future Anthony Rizzo from San Diego. They also snagged beloved Dale Sveum from the Crew to become their new manager. With Epstein and Hoyer in place, you can expect the Cubs’ farm system to improve dramatically, as both men place a strong emphasis on building from within. The days of the drastically overpaid veteran might be over as well. Sorry, Alfonso Soriano. But enough about the promising future of the Cubs. This article is about what to expect on the field in 2012. And 2012 could get ugly down in Wrigleyville. Analysis – LaHair put up impressive numbers over the last two years in AAA. His 2011 line of .331/.405/.664, as well as his .443 wOBA, can give fans a reason for hope that the Cubs will finally have found their replacement for Derrek Lee. Still, Epstein and Hoyer trading for star prospect Anthony Rizzo should be proof enough that they don’t fully believe in the future potential LaHair. 2012 will be a season-long audition for LaHair, who might have to be looking over his shoulder the entire time…Barney seemed to win the favor of Cubs fans last season. His decent glove (5.8 UZR/150) and overall helpfulness to the club (2.2 WAR) surely led to that endearment with the fans. The problem is, while he doesn’t take much off the table, he doesn’t bring that much to it either. He’s really nothing more than pedestrian at second base…Castro is the unquestioned star of this team. While he has his struggles in the field (-8.8 UZR/150), he knows how to handle himself at the plate, as suggested by his .307 batting average. I’m sure the Cubs would like to see a little more power out of his bat, but he’s only had two full seasons with the big league club. He’s going to keep getting better in 2012…Stewart gets the unenviable task of replacing Aramis Ramirez, who now calls Miller Park home. Stewart never tore the cover off the ball during his tenure in Colorado, but last year was just abysmal. Between AAA and the big league club, Stewart played in less than 100 games. While with the Rockies, he posted a pathetic .156/.243/.221 line. He’s going to have to learn how to hit again, and soon, or Cubs fans will be calling for his replacement pretty quickly. Analysis – It seems like everyone knows about the issues with Soriano. He has three years remaining on his contract at $18 million annually. He doesn’t bring speed to the base paths like he used to (only 2 stolen bases last year). He strikes out too much (22.2% K Rate). He doesn’t get on base at a respectable clip anymore (.289 OBP). Problem is, the Cubs don’t have any better options in their system at this point…Byrd will start in center on opening day, but he most likely won’t be with the Cubs by the end of the year. Prospect Brett Jackson seems destined to finally get his shot with the Cubbies in 2012, which means Byrd may be spending the first few months of the season auditioning for his role as trade bait…DeJesus spent last season in Oakland, and if you are at all familiar with Oakland’s reputation on offense, you should know that he won’t be adding a lot of value at the plate (.240/.323/.376). However, he does seem to know his way around right field, as shown by his UZR/150 mark of 14.2. 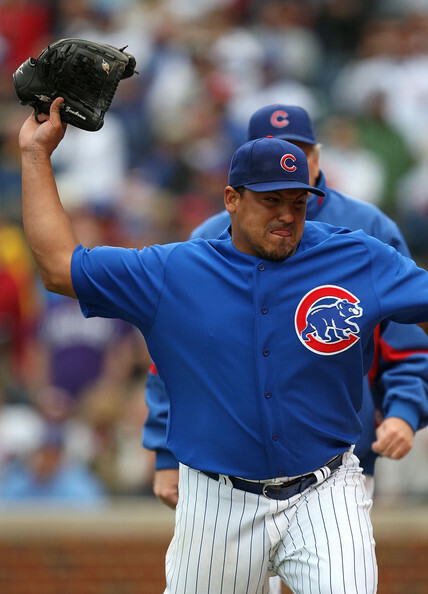 Carlos Zambrano will take his particular brand of crazy to Miami, which should sound wonderful to the Cubs. Analysis – Garza has had an interesting offseason. His name has been dangled as a potential trade piece in more than a few rumors. For the moment, he’s still with the Cubs, which gives them a pretty good arm at the top of the rotation. Garza’s 10-10 record in 2011 is deceiving; he pitched much better than his record indicates. He posted a 3.19 xFIP, and his BABIP of .306 was slightly above league average, meaning that a poor supporting cast and some bad luck were more to blame for his win-loss record than Garza’s actual pitching…Dempster, much like Garza, was a victim of the lack of talent around him more than his own pitching, as his 10-14 record doesn’t seem justified with a 3.70 xFIP. His BB/9 did continue to rise in 2011 and he was also rather unlucky with a .324 BABIP. Still, as a Brewers fan, I wouldn’t mind seeing this Brewer-killer’s bad luck continue in 2012…Maholm stays within the division, coming over from Pittsburgh. He doesn’t blow hitters away (5.38 K/9) but doesn’t give up free passes too much either (2.77 BB/9). The drop-off after the top two in the rotation is noticeable…Wells posted a below average xFIP of 4.45 and gave up the long-ball too much (1.53 HR/9), yet he finished with a winning record in 2011 (7-6). Wells reminds me of Dave Bush during his last few seasons with the Brewers; you don’t hate having him on the mound but don’t expect him to carry the load too often…Volstad comes to the Windy City from the Marlins in the Zambrano trade. In 29 starts last season, Volstad only pitched 165.2 innings, while posting a 3.64 xFIP. He was a little unlucky (.310 BABIP) but he also was below average when he had runners on base, with a 68.9 LOB%. Even if he has some struggles at Wrigley, I think Volstad will be an example of addition-by-subtraction, because the circus known as Carlos Zambrano won’t be distracting the team on a seemingly daily basis. 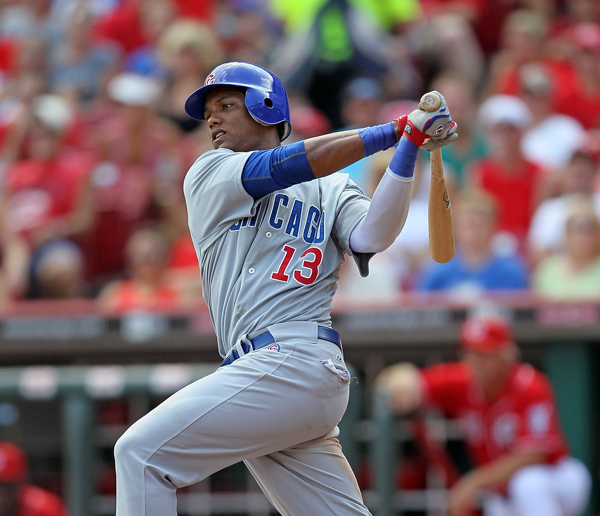 Analysis – Soto has been a picture of consistency for the Cubs over the last few years. And by saying that, I mean he’s been consistently inconsistent. In the last four years, his batting average has gone from .285 to .218 to .280 to .228. So, the good news for Cubs fans is that Soto is due for another good season at the plate. His .987 fielding percentage last season was well below his typically impressive average, so he’s going to have to figure out what went wrong in 2011. In the end, it really doesn’t matter which Soto the Cubs get in 2012; he’s one of the few players on this team who doesn’t have to worry about someone taking his spot in the lineup. Epstein and Hoyer already succeeded in acquiring first baseman-of-the-future Anthony Rizzo. Bench/Bullpen Analysis – Carlos Marmol had 35 Saves last season, but he’s also responsible for raising the collective blood pressure of Cubs fans every time he steps onto the mound…Kerry Wood isn’t who he used to be; he’s simply a decent arm that will have his good days and his bad days. Basically, he’s your typical over-30 bullpen arm…Jeff Samardzija is another arm that simply isn’t consistent enough to count on every day. You don’t typically want to bring a guy in to a high-pressure situation when he posts a 5.11 BB/9…I mentioned Brett Jackson before. The centerfielder is ranked #89 on Keith Law’s Top 100 Prospects List, and he’ll soon be patrolling out by the ivy…Anthony Rizzo is back with the guy who initially drafted him (Epstein in Boston) and the guy who first traded for him (Hoyer in San Diego). 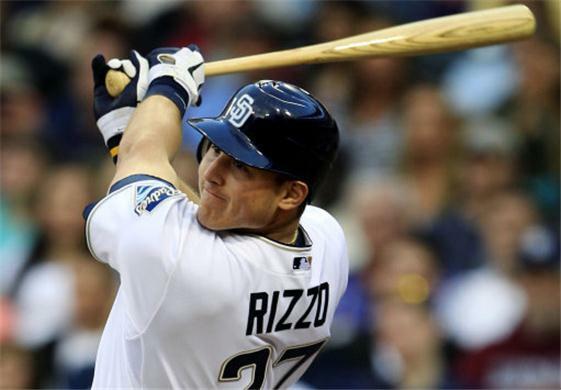 Rizzo shows up on Law’s list at #36, and while he struggled while with the Padres last year (.141/.281/.242 in 49 games), he absolutely crushed the ball in AAA (.331/.404/.652, 26 homeruns in 93 games). Oh, he can also play some defense too (10.2 UZR/150). And it’s also important to remember that this guy is still only 22 years old, and he pretty much missed all of 2008 when he battled with Hodgkin lymphoma. Acquiring guys like this is one of the reasons that, as a Brewer fan, I’m not thrilled that Epstein and Hoyer now call Chicago home. Overall Analysis – As I stated at the beginning of this article, the future looks bright for Chicago, if only because Epstein and Hoyer are going to bring in a much-need culture change. Epstein’s success in Boston is well-noted, but Hoyer also left San Diego with the top-ranked farm system, according to ESPN’s Keith Law. There is no quick fix for the Cubbies, but bringing in the guys who know how to turn an entire system around is a damn good first step. 2012 will be filled with more than a few headaches, and there will be times when Cubs fans will find themselves just hoping to stay ahead of Pittsburgh in the standings. The Cubs just simply won’t contend for anything worthwhile this year, but with Epstein and Hoyer calling the shots, things could get interesting when the trade deadline approaches. Byrd, Garza, and Dempster are just a few guys who could find themselves in new locations by August, if the right trade package is presented. My advice for Cubs fans is this: be patient. 2013 and beyond look bright. For now, you’ll all have to adopt an all-too-familiar slogan for this season. This entry was posted in News and tagged Albert Pujols, alfonso soriano, anthony rizzo, brett jackson, carlos marmol, carlos zambrano, Chicago Cubs, Dale Sveum, geovany soto, heath bell, jed hoyer, jim hendry, Jose Reyes, mark buerhle, matt garza, Prince Fielder, ryan dempster, starlin castro, theo epstein. Bookmark the permalink.